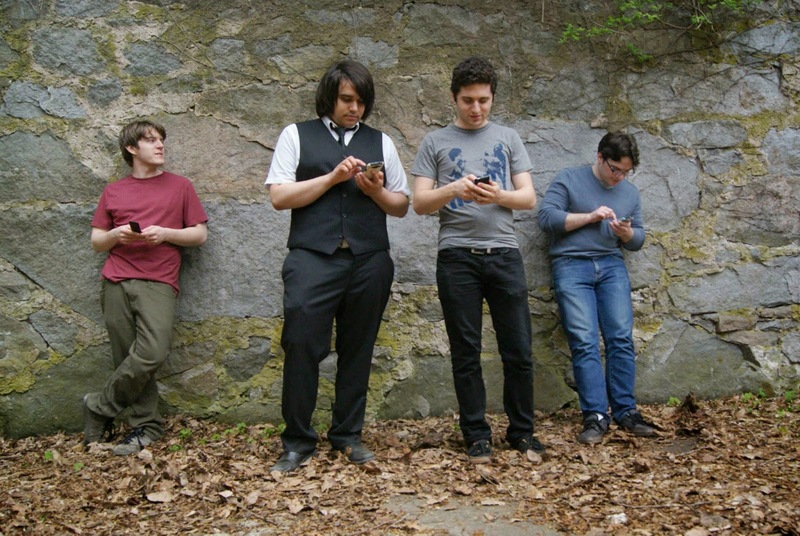 Hear Western Education's new LP live on July 5th at Middle East Downstairs. In 2012 Western Education hit the scene with their indie pop S/T EP and synth pop The Weekend Sessions EP. In 2013 they showed their teeth with noticeably harder rock values on the single “Rivals”. And in 2014 the Lowell-based quartet proved ambition and a snazzy blazer could get you far in the 35th Annual Rock N Roll Rumble. 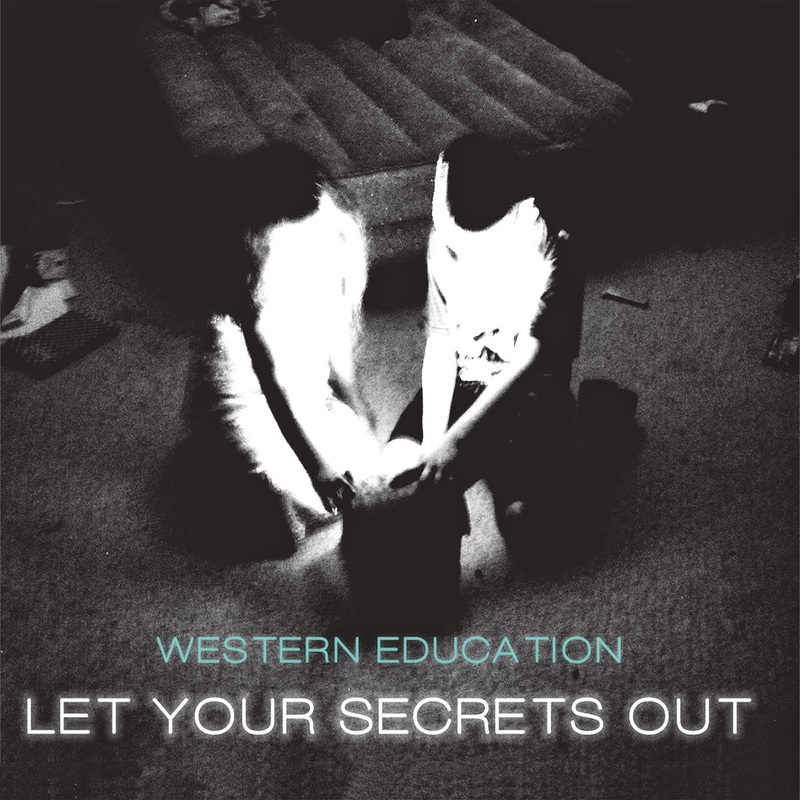 With their name still fresh in the media; Western Education prepares to release their first full-length Let Your Secrets Out (7/8/14) - a fusion of all their musical efforts up until now, with a large synth overlay and an abundance of confidence. There’s something about keys that are undeniably uplifting and Western Education uses this to their advantage by opening Let Your Secrets Out with the aspirational synth rock song “Peace”. Laser light shows, the prevailing underdog, and the Yamaha Motif! Yes! One more time! A fitting introduction to the 11-song record that also includes previously released tracks “All I Am”, “Loyal Satellite”, “Rivals” and the song that hooked many people, “Young Love”. "A new-waver, an alt-rock kid, a metal-head, and a prog-rock freak all started a band one day." The accelerated evolution of Western Education is tremendously interesting to witness through their recordings. Western Education expands their professional protocol from the studio to the stage. When participating in the prestigious Rock N Roll Rumble, bands are scrutinized on every aspect of their performance, from stage presence and sound, to genre representation and crowd interaction. Rumor has it; Western Education’s snazzy attire assisted their advancement to the semi-finals when they overcame Butternife, Slowdim and Gondoliers during Night #4 of the 2014 Rumble preliminary round. “I feel like when you go onstage, you need to look like you are ready to perform. You are there to put on a show; you should not look like you just got done working on cars. Western Ed’s style isn’t hyper strict, you just need to look like you’re ready to play,” expresses Alexandropoulos who’s notoriously dapper stage style includes imported blazers and vests. From touches of Passion Pit and Two Door Cinema Club in “Look Away” and “Loyal Satellite” to the material girl, flash dance and mall montage moments in “I Can’t Heal” and “All I Am”, Let Your Secrets Out is the soundtrack to my John Hughes dance party heart. The completion of Let Your Secrets Out exemplifies the capabilities of this young band and is a welcome addition to the niche of genre-crossing music in the Boston scene. “I just want to put music forward that we’re proud of. I’m not interested in jamming, or making music for the sake of being different, or weird. I want our music to be available to everyone,” Alexandropoulos tells Bishop And Rook. “The thing about Boston is that it’s such a sonic melting pot, that it can seem fragmented. But I think, regardless of genre, if your music is good enough, it will transcend,” Broufas adds. Rockers and electro pop kids alike, see the real deal when Western Education plays their Record Release show with Barricades, Twin Berlin, The Susan Constant and The Life Electric at The Middle East Downstairs July 5th ($10 /18+ / event details). And The Last Safe and Deposit Company in Lowell, MA August 22nd. Let Your Secrets Out will be available for purchase as of July 8th at your local Newbury Comics (Burlington, Nashua (NH), Saugus, Braintree, Newbury Street), iTunes and Bandcamp for $9.99. Follow Western Education on Facebook and Twitter for additional show dates and release information.